Emilia Sisco with Helge Tallqvist And His Band on uusi tuore kokoonpano Helsingistä. Ryhmässä yhdistyy nuori ennakoluulottomuus ja raikkaus sekä kokemuksen mukana tuoma osaaminen ja vakuuttavuus. Ohjelmisto muodostuu bluesista, R&B:stä sekä ripauksesta soulia. Rytmi- ja tanssimusiikkia parhaimmillaan. Emilia Sisco on nuori blues/R&B/soul laulajatar joka on lyönyt itsensä läpi Rootsmusiikin genreessä. Vahva ja sielukas soundi yhdistettynä valloittavaan persoonaan ja vakuuttavaan lavaesiintymiseen tekee Emiliasta valovoimaisen keulahahmon bändissä. Kitarassa on, niin ikään nuori, Konstantin Kovalev. “Konsta” on myös Emilian tavoin lyönyt itsensä nuoresta iästään huolimatta läpi Rootsmusiikin alueella. Konstan lavaesiintyminen on myös vakuuttavaa jolloin bändissä on kaksi nuorta valovoimaista huippua “etulinjassa”. Konsta on myös erinomainen laulaja jolloin bändissä on myös monipuolista lauluvoimaa. Bassossa on Tom Nyman (J. Karjalaisen basisti myös) jonka kanssa soitin aikanaan The Hangovers yhtyeessä. Tom Nyman on tunnettu myös Laika & The Cosmonauts bändistä. Rummuissa monista yhteyksistä tuttu Jupe Litmanen. Ei esittelyjä kaipaa, tämän genreen huippu. Jupen kanssa olen soittanut monissa bändeissä. Ilo on saada soittaa huuliharppua tällaisen ryhmän kanssa. Ei kait parempaa voi enää edes kuvitella. 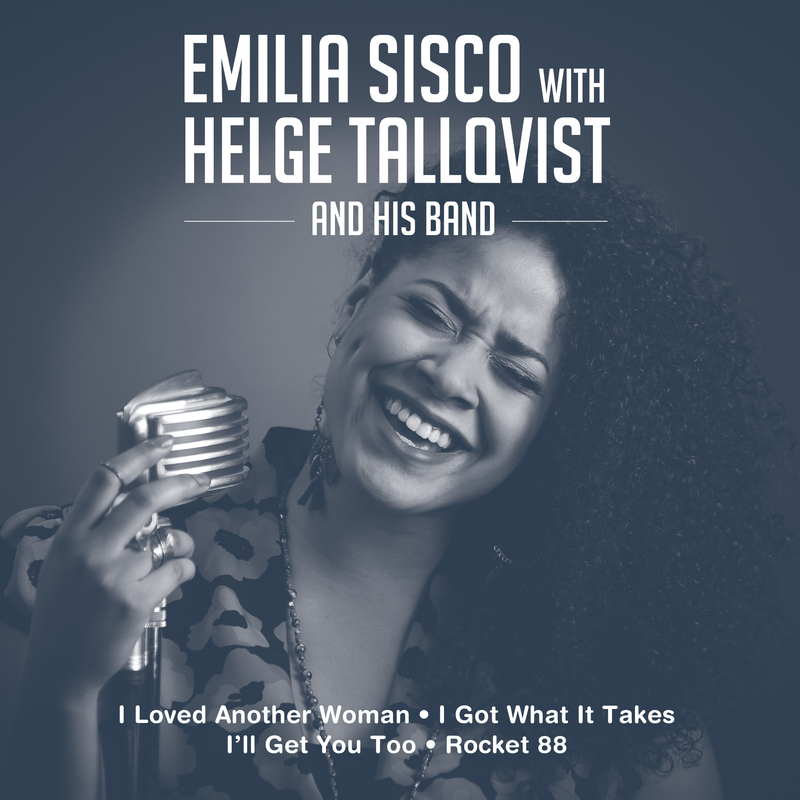 Emilia Sisco with Helge Tallqvist And His Band is a fresh Blues/R&B/Soul band from Helsinki Finland. Groovy blues/roots music with a killer band and a young outstanding lady on the vocals. Emilia’s voice is amazingly strong possessing a lot of unprejudiced courage as her distinctive style brings freshness to the songs. The other band members are well known professionals in the blues/roots genre, and the outcome is a smooth combination of strong experience and young open-mindedness. Groovy roots music and dancemusic on its best. On guitar we have also a “youngster” , Konsta Kovalev who has despite of his young age conviced all blues and roots music lovers. Konsta is also a great singer which brings a lot versatility and strenght into the vocal arrangements. Two young brilliant artists in the front of the band. On bass Tom Nyman who is famous from many bands in Finland, bass player in J Karjalainen (mega star here) Band and played in Laika And The Cosmonauts, a band that became very famous also in The States. On drums Jupe Litmanen, my long time drummer in my bands. Jupe is also very famous from a lot of other bands. With Tom on the bass and Jupe on drums the groove of the band is guaranted. It is a pleasure to play with all these guys, hard to imagine a better band than this. Emilia Sisco is a jazz-soul-blues singer from Finland, Helsinki. In her music she combines American jazz traditions, as well as modern arrangements of soul-music. Influenced by singers like Dinah Washington and Sugar Pie Desanto, Emilia's strong, personal vocal and tone strikes directly into the soul and makes you move. She creates a natural swing with her instinctive phraising. When Sisco forgets everything else and lets herself go, she shows the world of entertainment what girls are really made of. The passion for singing for this self-taught singer came from her childhood home where music was always present. From her mothers side Zambia, came the culture of african music and rhythm. The little girl started to interpret the songs she heard and found love towards jazz music. Through that, she got into different genres of roots and performed for the first time in publicity at the age of 15. 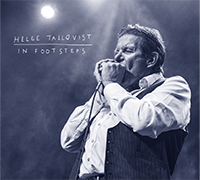 Nowadays, Sisco is performing all over Finland and has also been on stage in Denmark with Helge Tallqvist band, in Switzerland and Italy as a guest at Ruf Records Blues Caravan. She was chosen as the Newcomer of the year 2017 at the Finnish Blues Awards. With countless feature and backing vocal experience, she has sang backing vocals for ex. international roots reggae artists such as Luciano, Peetah Morgan (Morgan Heritage), Marla Brown (daughter of Dennis Brown), collaborated with scottish blues talent Robbie Hill. And also appeared in Finnish movies Romanssi (romance) and international Finnish film Ikitie (the eternal road). Currently she is working on her first full album with Emilia Sisco & Helge Tallqvist band.